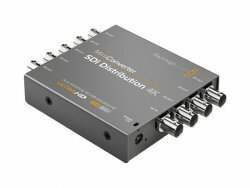 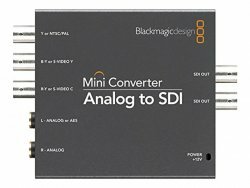 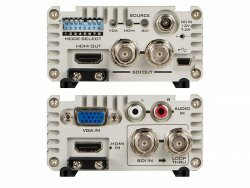 Blackmagic Design Mini Converters offer easy to use signal conversion and distribution between HDMI, SDI, and analog sources/outputs. 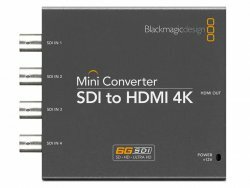 Important: these are not format converters. 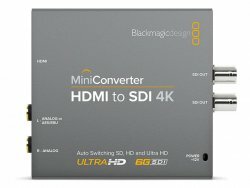 To change signal resolution or frame rate you will need a format converter device.